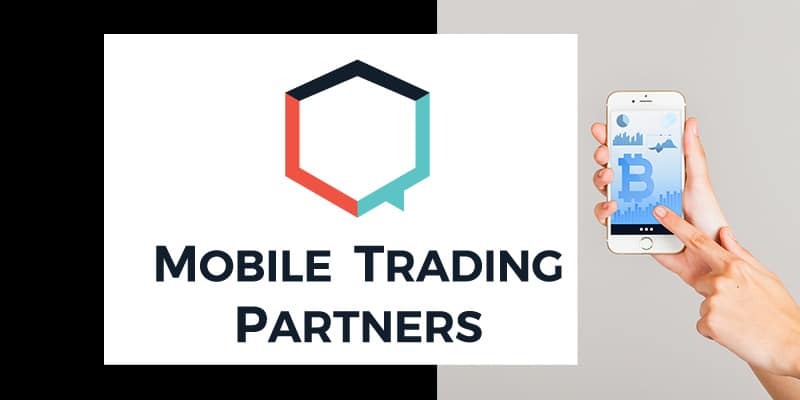 Mobile Trading Partners LLP designs and develops mobile apps, web widgets, charting and sales tools for the foreign exchange industry. Based in London, the company is dedicated to providing solutions to both brokers and banks, such as its mobile trading platform. Earlier this year, Finance Magnates reported that, after committing a period of over 18 months to research and development, the firm delivered a brand new mobile trading suite designed to meet broker demands in the retail trading industry. Now, the firm is in the process of opening up a fintech development center in Bengaluru, India. To find out about this and more Finance Magnates sat down with Paul Smith, the CEO of Mobile Trading Partners LLP. Firstly, please tell us about Mobile Trading Partners LLP. What do you do and what have been some recent developments for the company? We were founded in late 2012. Our predecessor company was formed to develop a concept called Social Mobile Trading (SMT) which we first brought to the market in 2011. What is now known as Mobile Trading Partners came about as a vehicle for delivering the mobile trading platform we had developed at SMT, but over the years since then we have expanded our capabilities greatly and we now operate at all levels as a fintech developer and technical service provider to brokers and banks. Our products include a complete web and mobile front-end for FX and Crypto trading. Behind this sits an industry leading trading API, market data processing and order routing system that can be connected to any trading back end or front end. LMAX, Star System, EBS/NEX, GMEX, MT4/MT5 via our own connector or via Gold-i FIX, and so on, basically we can connect to anything whether it has FIX or a proprietary API. Many of these connections are exposed as reusable APIs in their own right, which we can provide for clients to use. We produce marketing tools and web widgets for broker websites, analytics, charts, and operational tools. We have, in the last year, created and delivered a high-performance order routing bridge for one of our customers. This builds upon our previous experience at the back end, and we expect to do a lot more of this. And for one of our clients, we have created a complete B2B deliverable FX solution that is being used at scale by very large institutional users. On the corporate development side, we are currently building out a new Fintech development center in Bengaluru, India, led by an industry veteran with 20 years of experience in London FX markets. This puts us in an excellent position to support our client’s needs in the coming years. So would you say your company’s name is a little misleading? Yes. Of course, we are best known for our mobile apps – and nobody in this industry does it better – but that only represents a third of our business. Half is back-end related consultancy and development services, and the rest is web-based front ends. A long time ago I ran a software development company close to London that specialized in building white label solutions for big companies. Our clients included multinationals like Esselte, Philips, and Apple. My first product had been an accounting system, but we were venturing out into other areas and pushing the then limits of technology. We had two clients who pulled us firmly back into the finance world. For one of them, we built a futures trading system that ultimately connected to LIFFE. For another, we built a multi-layered system for processing and distributing stock prices and news releases. What would you say is the biggest challenge today in your field? Scale. For the large players, everything works fine except the sometimes glacial pace of their decision making processes, which means it’s very difficult for them to be agile. For the smaller [ones] we have experimented with providing low-cost apps for smaller retail brokers but have found that unless a client is prepared to make a meaningful investment in the development of the business as well as the technology, the transformative effects on their business will be limited. Our low-cost trading apps remain available – and are a very competitive solution – but for real positive transformation, a broker needs to orient its entire business around its digital strategy. It’s not enough to just have an app. Responding to millennial customer dynamics means the whole business process needs to be “mobile first” and the app should reflect that. Given that the industry-leading retail trading platforms are stuck in the 1990s, and that most of the small broker’s IT spend will be taken up by that one license purchase, it’s hard for them to find the funds to build their business around 2019’s mobile users. 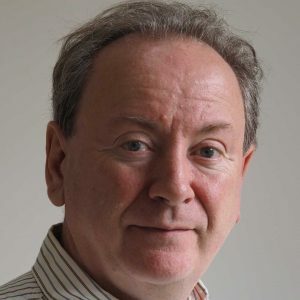 Of course, there are exceptions to that rule and some of our clients are making superb progress in reinventing their business for the current era. The sum of all this though, and it won’t be a surprise, is that more of our revenue is from larger brokers and institutions. Right now it’s easy to see it helping produce efficiency gains, but as noted in my last answer, the real prize is the transformation of the client’s business into something fit for the 21st century. Online, mobile, socially engaged, with the entire business process and customer journey aligned alongside a modern and relevant mobile-first marketing and customer service strategy that really helps their end customer make profits and stay a long-term customer of the brokerage. Number one misconception is the common belief amongst smaller brokers that good technology services can be bought on the cheap. It’s usually possible to find some compromises of course, but too many of those and the product will be weak, and the customer service inadequate. We never hear this from larger companies though, because we usually can provide a very good service for a lower cost than their internal IT department – and because of our experience and skills, we can do it better, as well. What are the most important things you have learned throughout your career? To really listen, without letting ego get in the way. To be able to listen to customers, colleagues, family: open-hearted, without judgment and with a generous spirit, is really an important life skill. Our clients come to us for our expertise, and for our advice, but that requires a clear understanding of their needs and the context in which those needs exist, to ensure our contribution is always relevant and helpful. To always go the extra mile. Just delivering the basics is never going to be enough. Keep listening and provide exemplary service always.